Shall I add, you can also find Restless King/Icescale MIs armors in there. If you favored the guy, he sells MIs weapons instead. 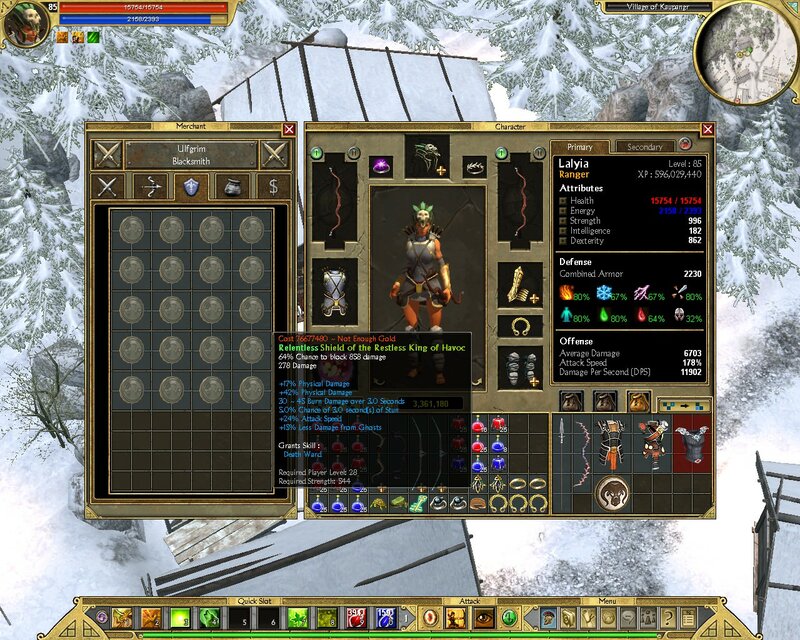 great.. didn't know this.. so if you talk to Tryggbord to complete the quest, he sells MI shields and armors? and if you talk to Ulfgrim, he sells MI weapons? What, MI shop? Since when? Its all good except there are no good shields of the Restless King, like all MI shields in Ragnarok, they drop with weapon affixes only. Those in your images too. But perhaps you can get a veteran's dvergr item. I made a lot of runs to the armorer because i have a toon here to farm the ichthian zone next to the shop. Only the MI shield was on sale. Maybe it depends on the seed generated when launching the game. Regarding weapons, i tried with another char on legendary about ten times and no MI was on sale. It's not enough to conclude, so yes maybe MI weapons are also on sale. IIRC, MIs shields are more common here because the merchant cannot sell regular shields, only Draugr shields, as opposed to torso armors, where he can sell regular torso armors, reducing the chances to find one in the shop. Must be the same case for the weapons (with the other brother). 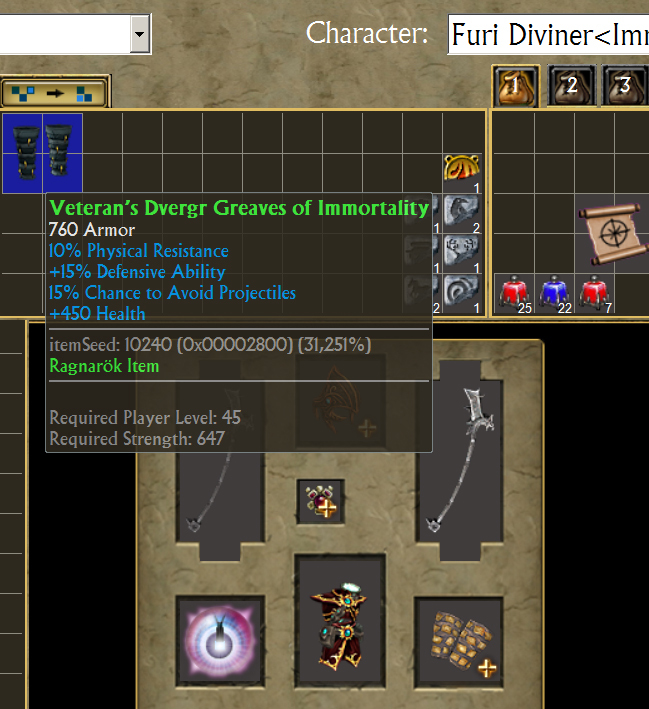 perhaps you can get a veteran's dvergr item. Just to be clear: weapon affixes are flat damage, physical, elemental, poison, vitality. Life leech, mana leech, of the winds, of immortality. Thats what can roll there. Armor or shield specific affixes like sentinel's (+2 defense), rune sage's (+2 rune), herculean, cyclopean, resistances, of focus (-18% recharge) can not roll on them. Nope. Never. These shields you will buy there are auto garbage by their stats. Why weapon affixes would not be worth it on shields ? The aim of this thread is not to find MI shields that compete with high-end legendary shields indeed. But to find items that is helpful for toons when leveling. Having green/MI items with the good perks in Xmax can make your route much more easier in normal and epic. 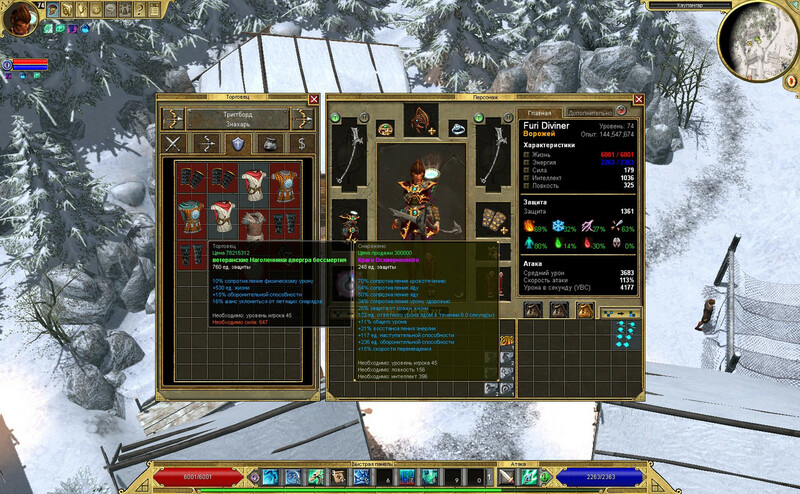 In the last run for example, i found a weigthless shield of the restless king which spawned at lvl 25 required. Unfortunatly the price was too high. But this kind of item is priceless for leveling: a high block rate and a maxed damage blocked at lvl 25 and % less conditions required on it. So no, i won't auto garbage this kind of shield nor a shield of alacrity, or of annihilation, obtained so easily. And i guess if you find a MI-shield of the betrayer you won't garbage it. There is no portal but you have a rebirth place in the village. You make it sound like nothing good can roll on those shields, and I will have to disagree. Those Ragnarok MIs shields (for whatever reason it is) picks its affixes from axes' table. That means you could get much more than mere flat damage. Might not be what one's looking for on a shield, but for those that want extra offensive power, it's a good thing. Restless King only has death ward for it, but it will come at the cost of not being able to roll resists or skills. Its block is on par with top act 5 shields on respective difficulty, so not sure how they are more helpful there too. If only they have much better rarity - common act 5 vendors are pretty terrible selling white items en masse. By the way, if it rolls ADCTH, I suppose it should affect all weapon attacks, not just shield attacks, right? I got to see tyrants of the betrayer, or even just betrayer once. Can betrayer even roll on a shield? Not a normal one perhaps, maybe on one of the act 5 MIs by the same affix table that does it all. While sitting on a pile of common green shields with excellent stat combinations. Good luck looking for betrayer I suppose. This is wrong. Look at the spoiler below. 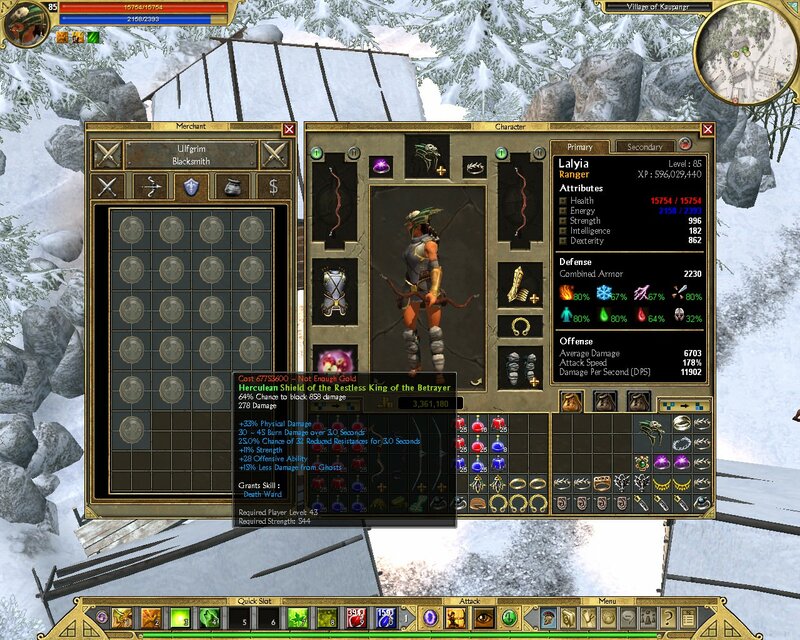 Before you ask, of course this was modded : I sky-rocketted the odds for those rare affixes to appear. However, ALL OF THEM WERE ALREADY PRESENT IN THE TABLE. Nothing was added, only their appearance odds have been increased. @WNG Thanks for your investigation. Nice to see that all these perks are available on MI-shield. I got to see tyrants of the betrayer, or even just betrayer once. Can betrayer even roll on a shield? I keep this one in vault, although useless because of bad damage blocked, to remind me searching for a legendary one. Note that only a defender can make a good use of such a shield though.